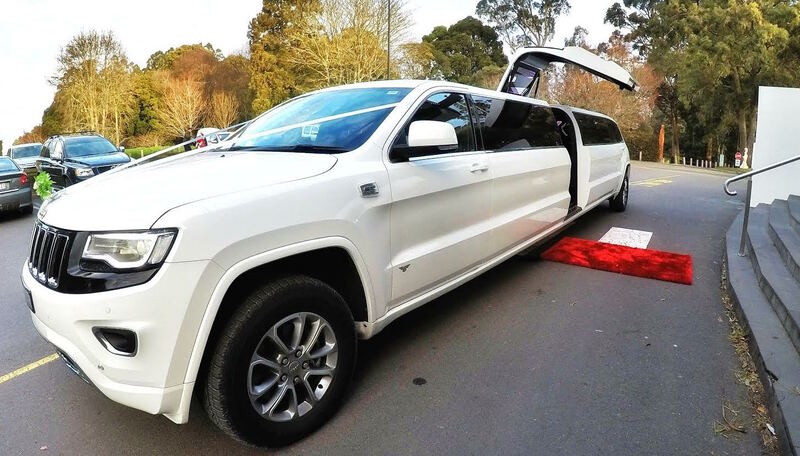 Have you got up to 14 passengers you need to move around Melbourne in ultimate luxury but a stretch Hummer doesn’t quite suit the occasion? 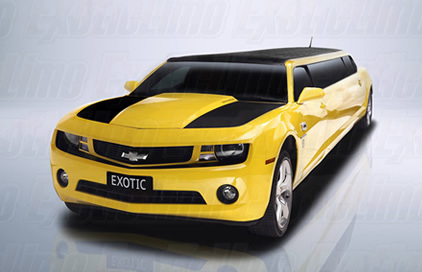 Don’t stress, it’s a common concern, and Exotic Limo has got you covered! 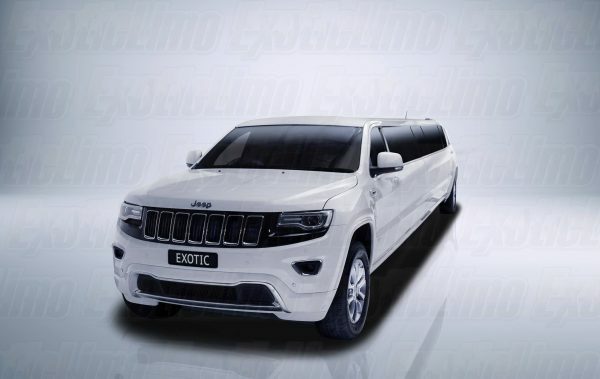 To continue offering our clientele unparalleled variety, we have recently manufactured the WORLDS BIGGEST JEEP and released it into our fleet with striking results. 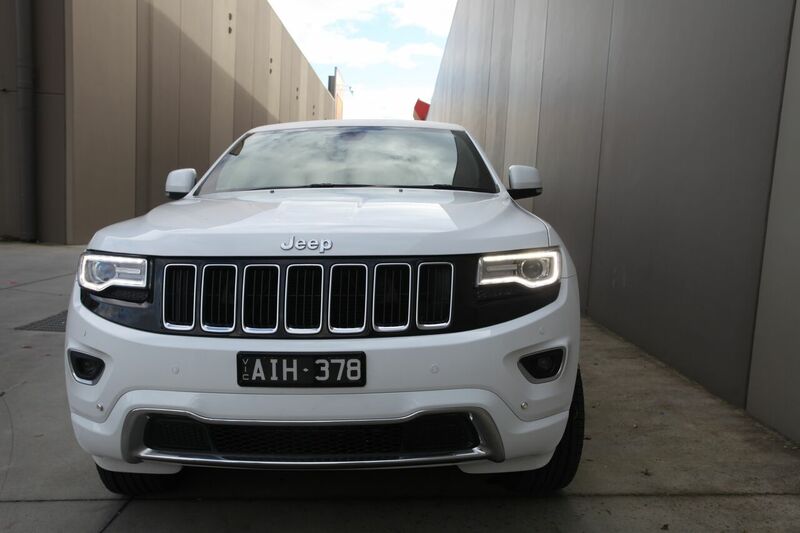 The JEEP name has become iconic around the world over many years. In particular, the latest release 2015 Grand Cherokee model has been lauded for its versatility and road presence. The only thing we could think to do to improve on it was make it bigger… much BIGGER. 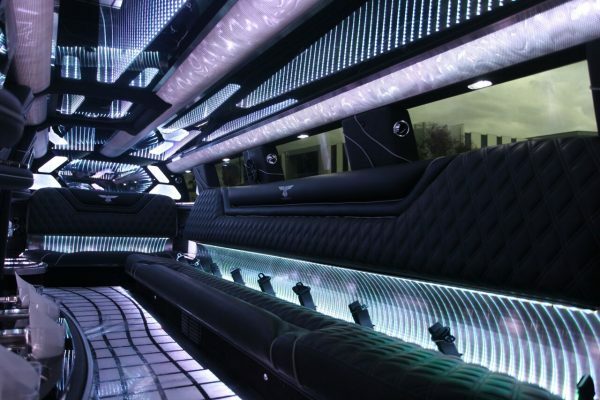 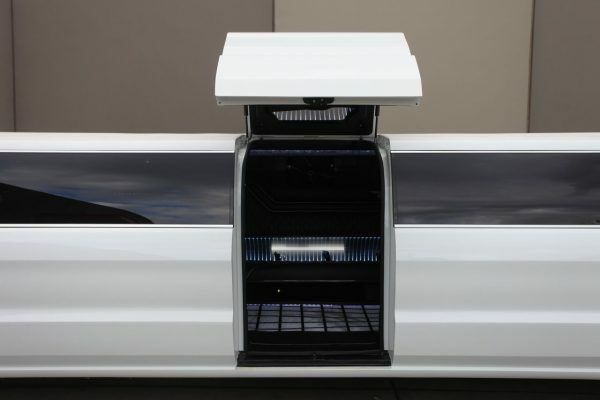 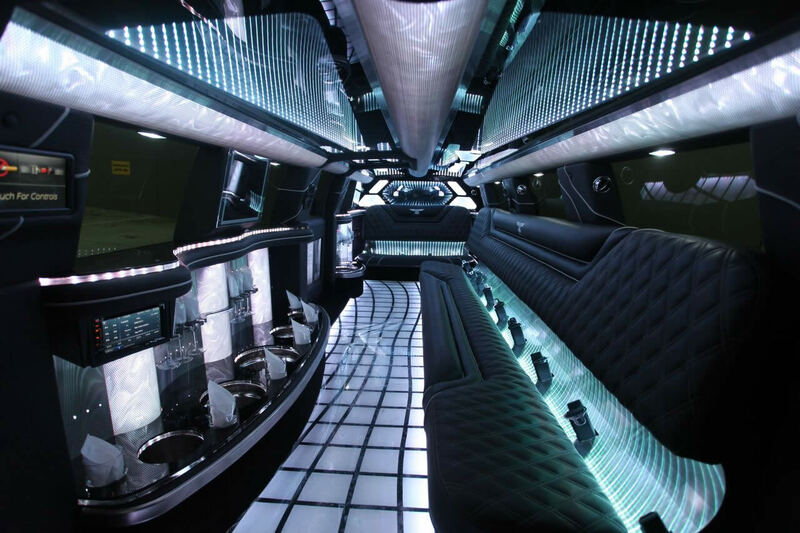 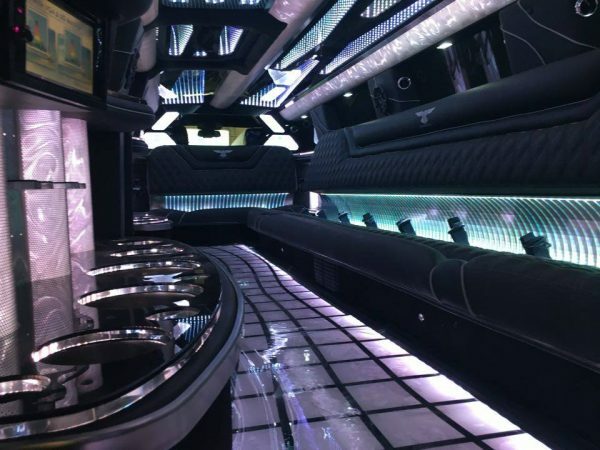 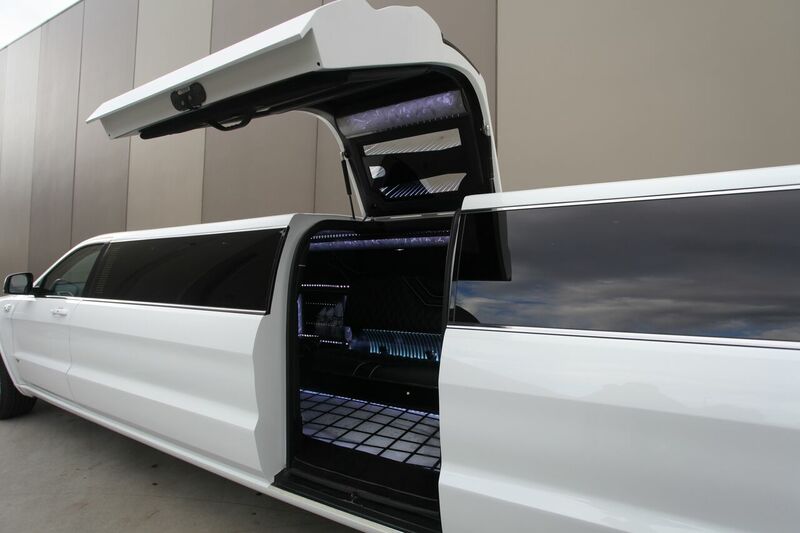 At nearly 12 metres in length, this stunning luxury stretch limousine has plenty of room for passengers to feel comfortable in its spacious and modern interior, with every luxury at your fingertips – all controlled by an LCD touch screen. 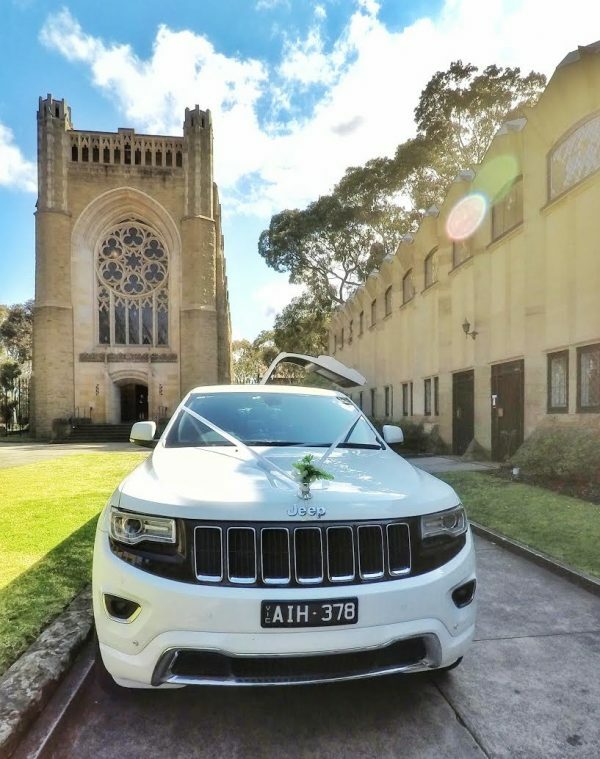 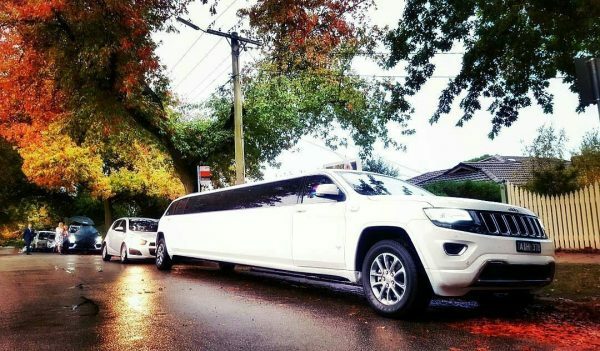 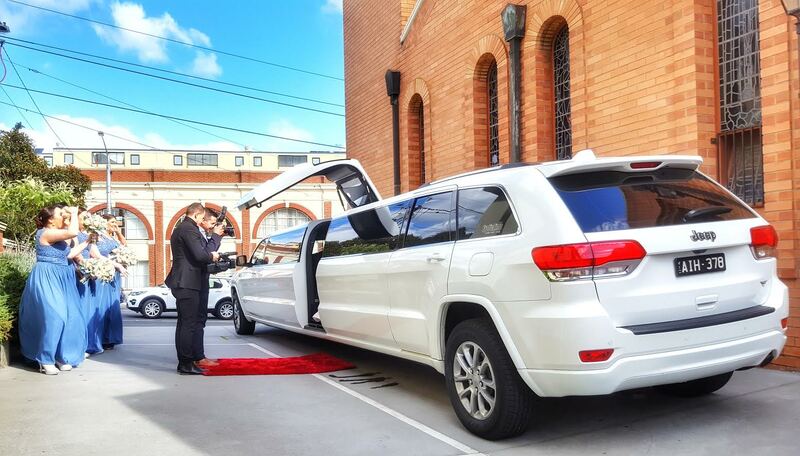 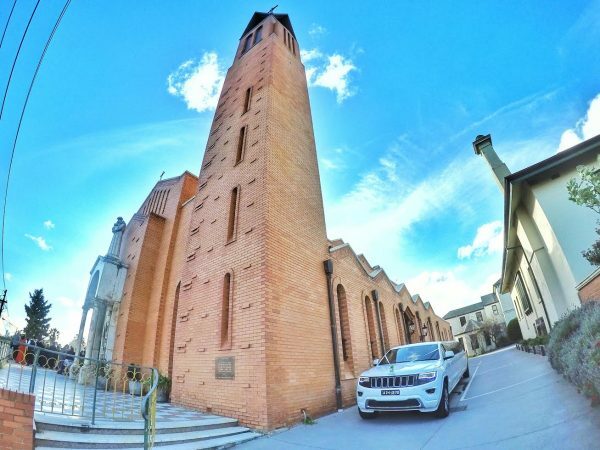 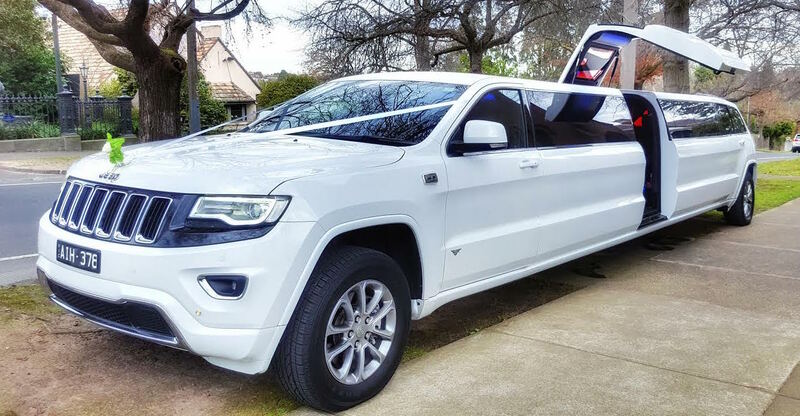 With full climate control for all weather conditions, elaborate lighting arrangements and a mesmerizing surround sound system – Melbourne’s ONLY White Jeep Cherokee SUV 14 Passenger Stretch Limousine is a larger than life luxury transportation experience. Brides will thoroughly delight in the middle-entry Bridal Door for a graceful entry and exit of the vehicle at all times. 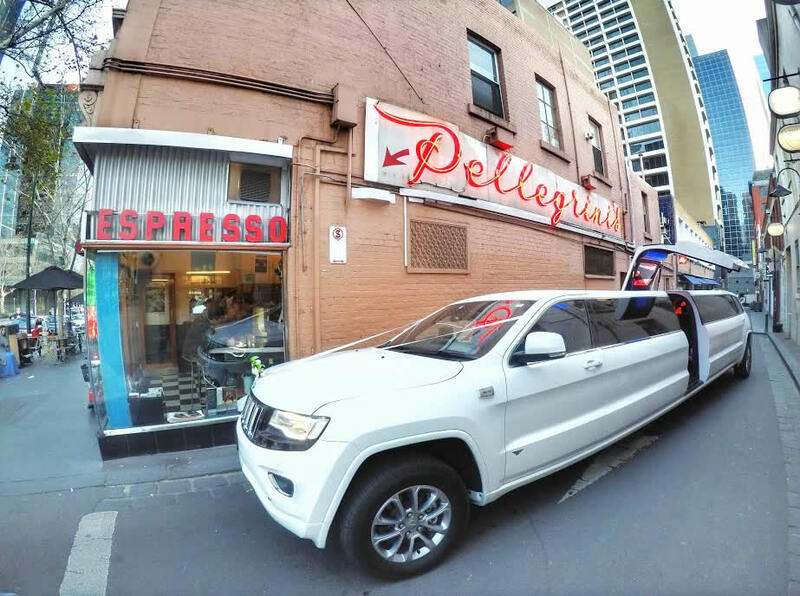 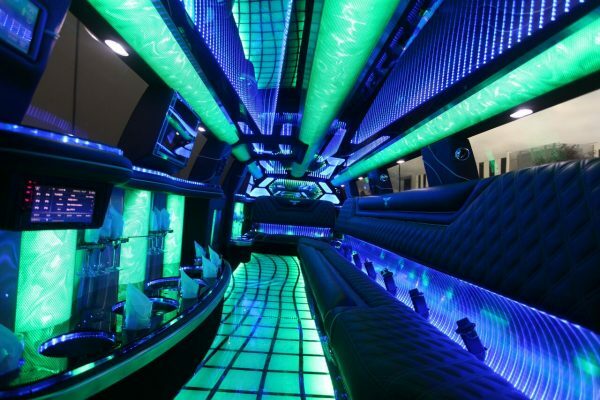 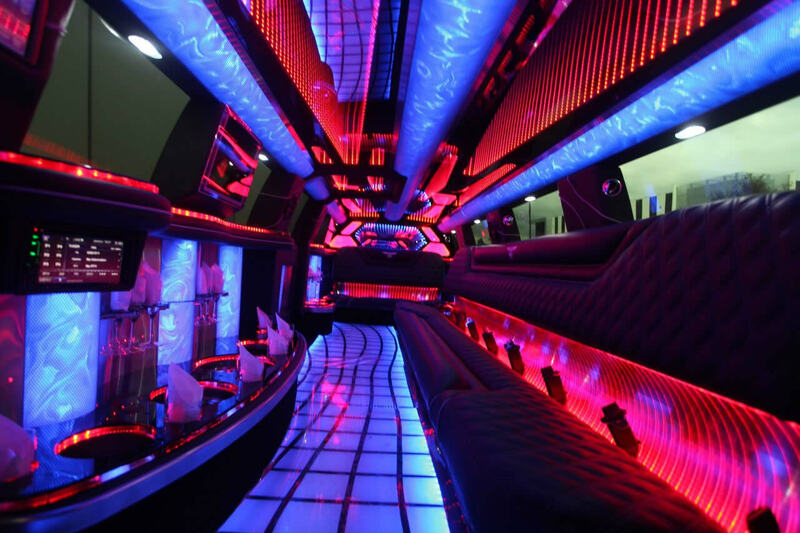 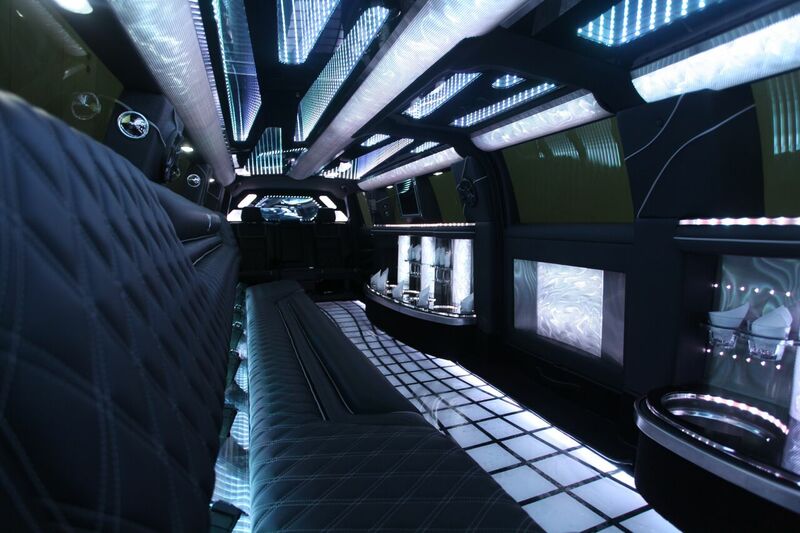 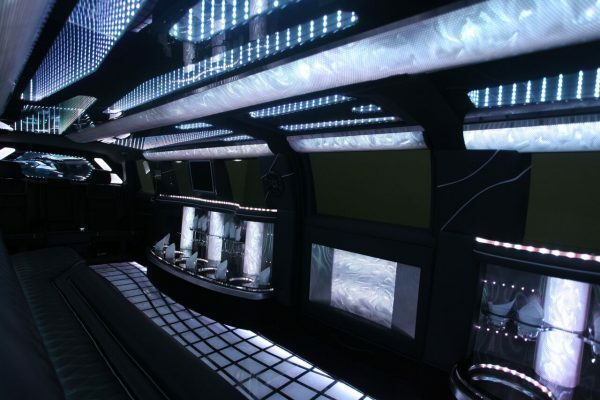 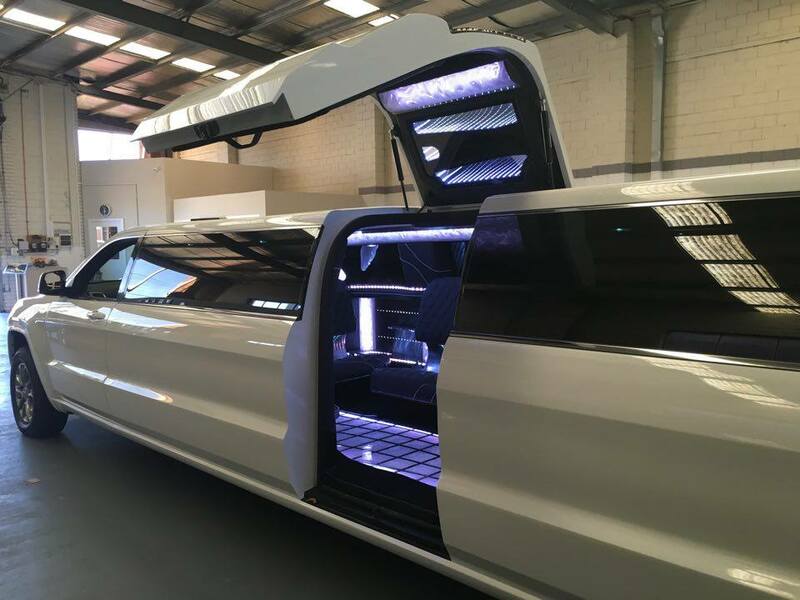 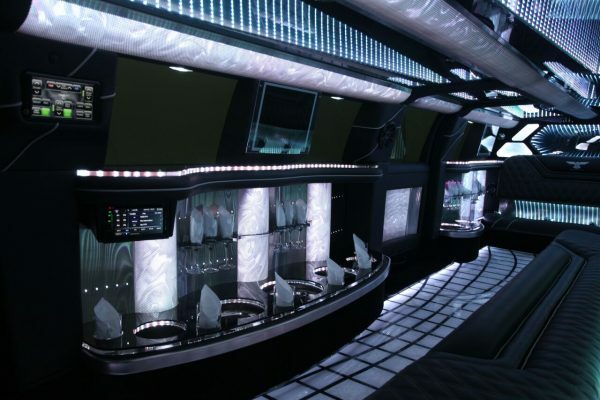 Whilst inside, you will feel like you are in a Colosseum thanks to the effects of the Infinity Mirror on the internal roof – a first for Australian limousines. 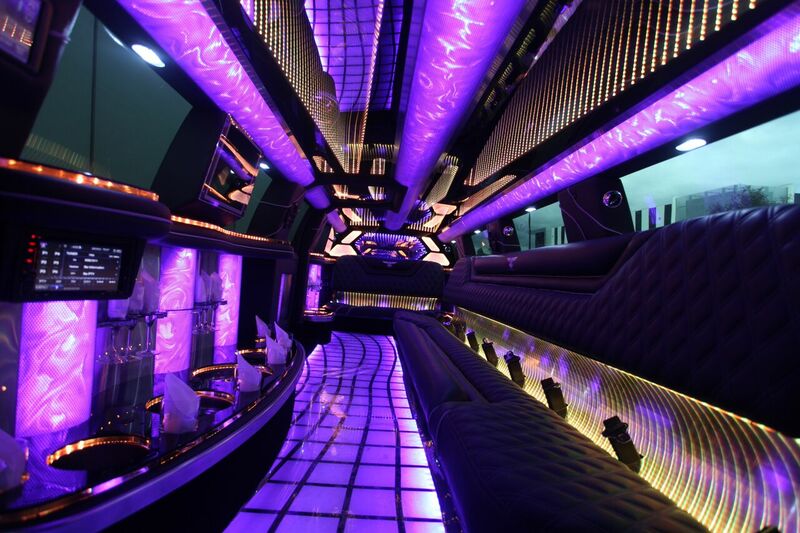 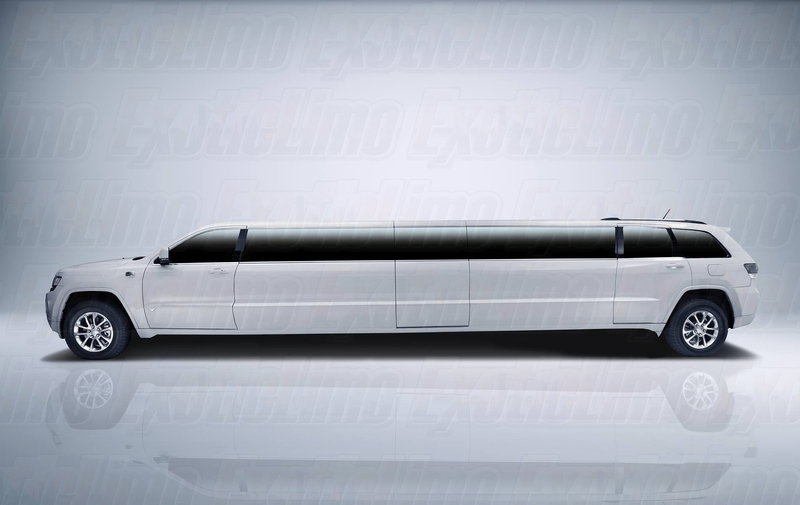 The 2015 model Jeep limousine is the absolute pinnacle of luxury transportation in the World! 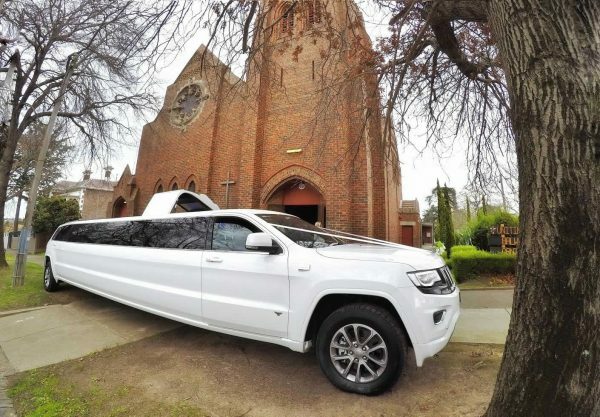 BIG, bold, spacious, loud, proud and perfect! 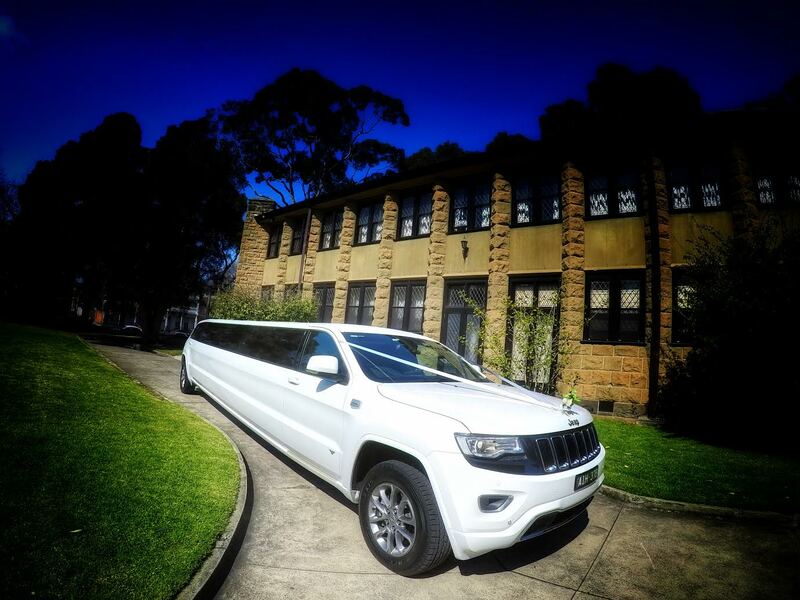 Bookings now being taken for Weddings, Formals, Deb Balls, Hens, Bucks, Birthdays, Corporate Tours, Nights Out and more. 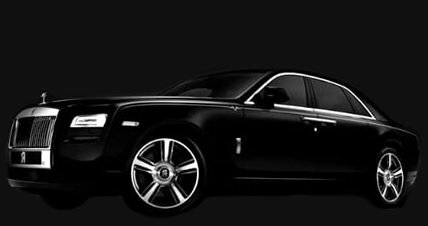 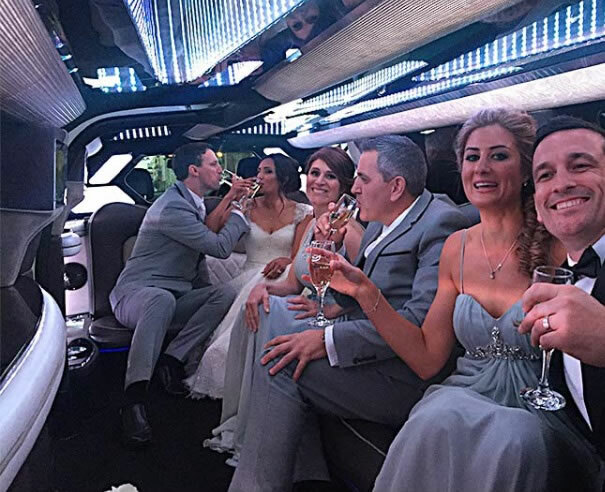 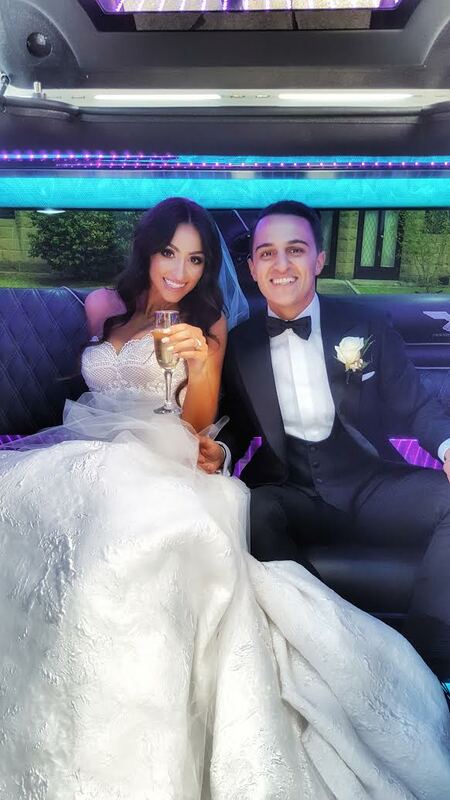  Call 1300 532 532 today or complete this simple quote request form to get more information about this amazing new Melbourne limousine. 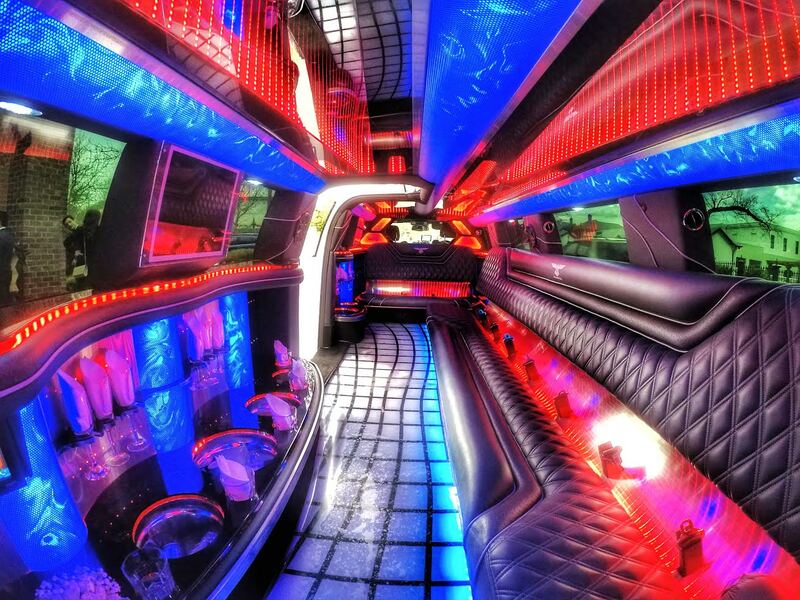 Infinity Mirror Ceiling! First in Melbourne! 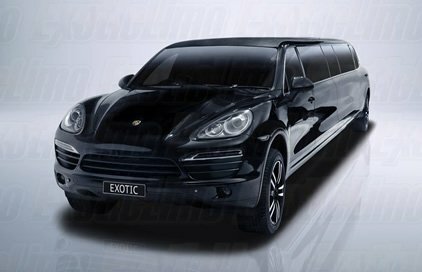 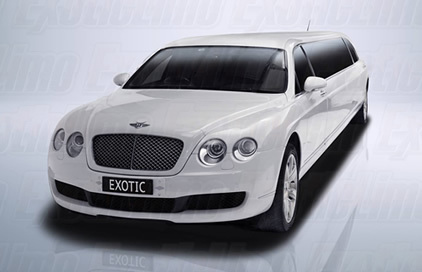 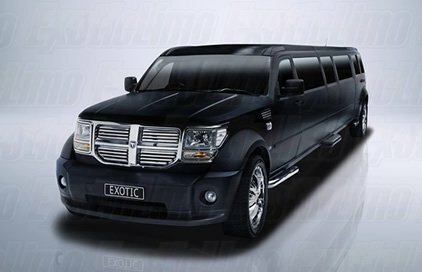 I don’t normally write reviews however my unbelievable experience with Exotic Limo recently has compelled me to do so. 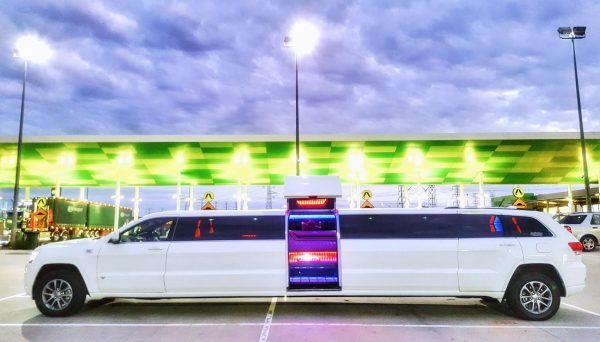 This company is SUPER impressive! 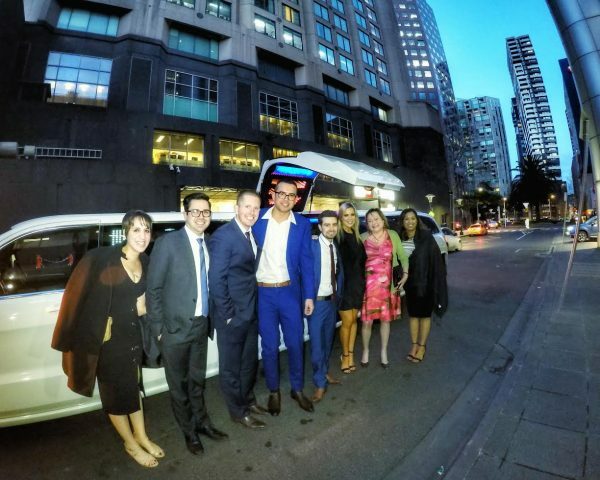 From the first point of contact all the way through until my Wedding Day, Rosa (my new wife) and I have been treated like royalty by this very professional company. 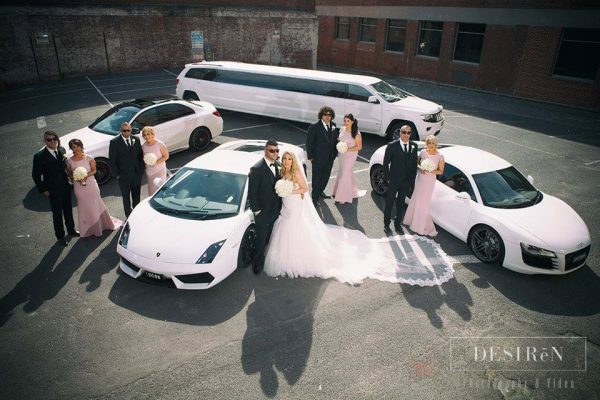 Highly communicable and genuine employees mixed with showcase vehicles that are unrivalled in Melbourne – I heartily recommend this company to anyone who absolutely HAS to have the perfect wedding. 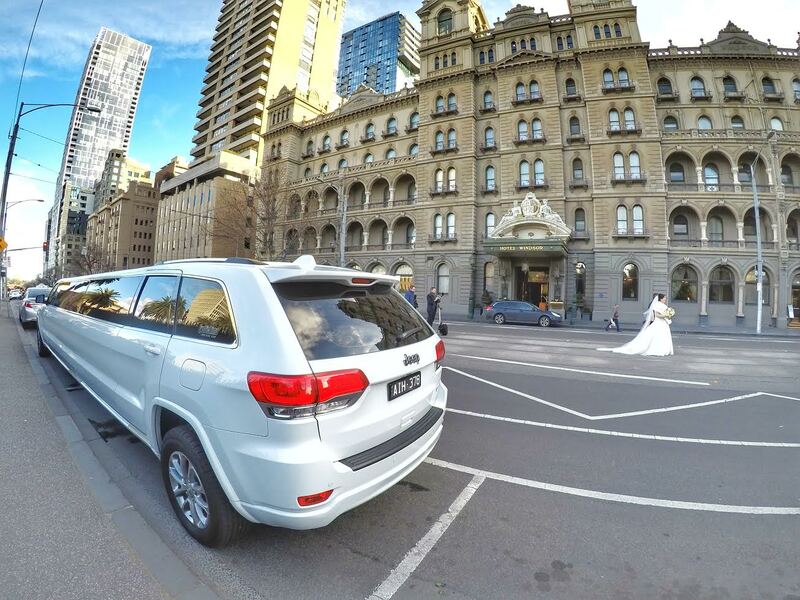 Five stars out of five. 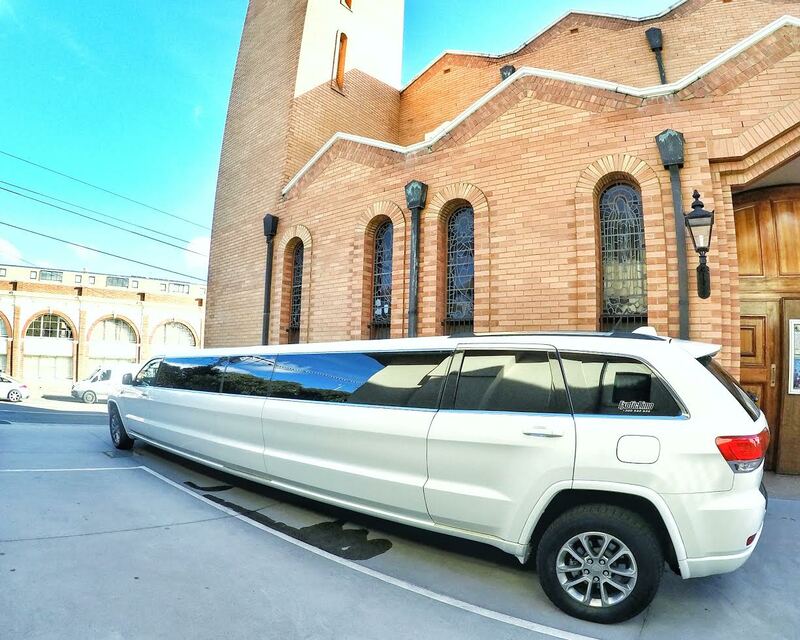 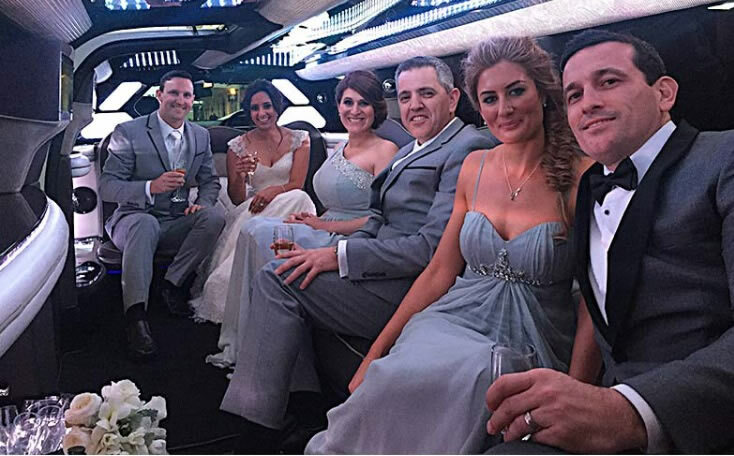 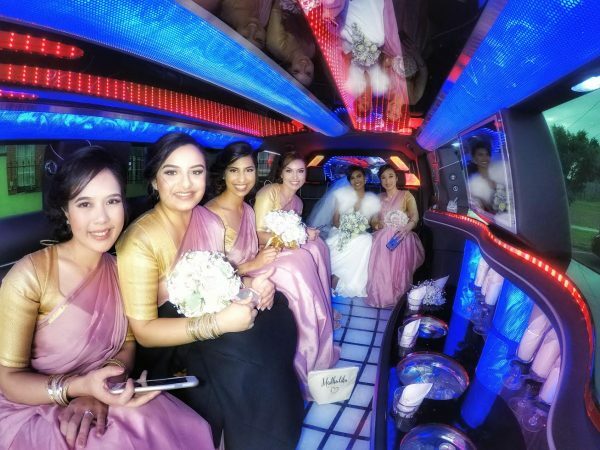 We hired the Jeep limo – and bravo – it was lovely. I’ll be back for all my future special occasions that require luxury transportation.